Our family owned and operated business has been serving El Paso for 20 years! 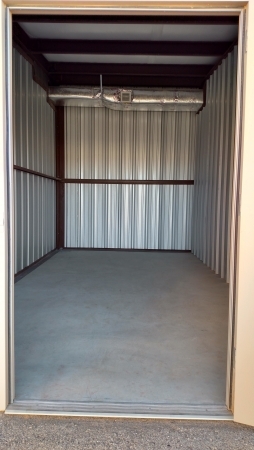 All of our units are insulated to protect your belongings! Our climate controlled units are equipped with sealed hinge doors that you can still drive your car right up to. 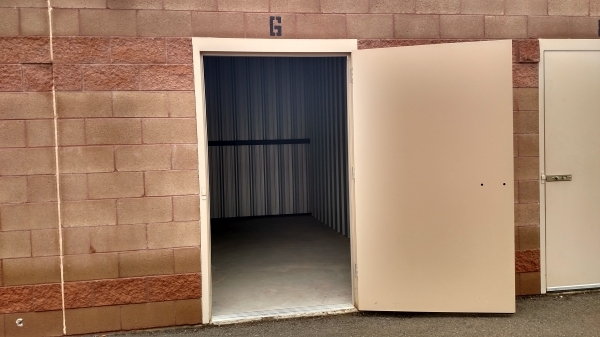 These units are great for keeping your valuables still valuable in the extreme El Paso weather! They were friendly and helpful when I sent to the office. The office hours are limited. It is difficult to get to the office during the week due to the office closing close to the end of the work day on base. It would be helpful if the office stayed open until after 1900. The facility is clean and well maintained. Hello John and thank you for renting with us! You are renting a 10X20 climate controlled unit that is $165 at standard rate and you are saving almost $300 over the first three months of your rental! which is great! The details about it being a 3 month special were explained before payment was processed so if there is anything we can help with or if you would like to move out just let us know how we can assist you! thanks! All facts should be devulged. As I stated above, the reason for me locking in the reservation was primarily due to the price that was posted. When I physically checked in and gave the administration fee and purchased a lock, I was told that in three months the price would be increased. That is not what it stated when I made the reservation online. I wish it would have stated that when you at first making the reservation. Climate Control Self Storage is very well thought out. There is plenty of space between rows to park and unload without worrying about someone else trying to get through there. The climate control spaces are very nice. The locks make it very simple.